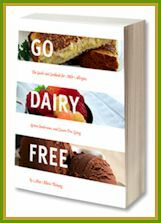 I’m hosting a giveaway on Facebook for the Global Vegan Waffle Cookbook. Head on over and enter! Also, the incredibly awesome Diane of The WHOLE Gang has featured little ‘ol me as a “Food Rock Star.” Head on over to this post to learn a little more about me, if you are curious. Ooh, ooh! One more thing. The adorable Sea at Book of Yum “adopted” me for the Adopt a GF Blogger (that little GF recipe index above qualifies me). 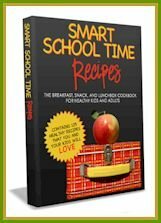 Check out her post, she made many recipes from my blog and book! You are totally a food rock star. About time you are recognized as such. How nice of you to be named a “Food Rockstar.” I think you deserve the title. Agreed with Katie and Kiersten. And I like your little badge of Alisa Cooks on the side! Cute! Nothing says Lovin like Waffels in the morning, or noon or night!! !